Everest High Passes Trek is the thrilling and interesting trekking all the way to the base of Mt. 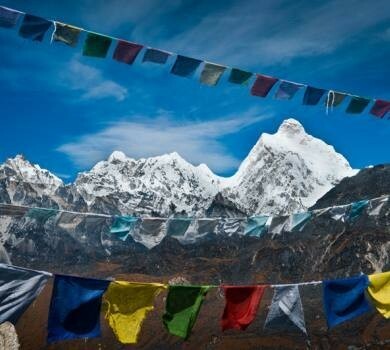 Everest that delivers with stunning views of Everest Region. One of the well known and lovable trekking routes in Nepal is Everest Base Camp Trek. The Everest Region also offers with the different route along with the high passes to get explored around Khumbu Himalayas. The high passes in the Himalayas above 5000 meters from the sea level share its parts: as a trekking route, for the outsiders to get lured in the snow-covered field and mountains. Everest Base Camp High Passes Trek welcomes those persons who are adventure lovers and are physically well fitted because passing through the 3 high passes that are located in the lap of Mt. Everest (8848m/ 29029 ft) will be a challenging, interesting and a thrilling trek in Khumbu Region. ……thrilling and full of excitement all the way to Everest Base Camp crossing through 3 high passes of Khumbu region. Everest High Pass trekking is the one and only the popular and thrilling high passes trekking route that leads through the high passes - Kongma-La Pass (5535m/ 18160 ft), Cho La- Pass (5420m/ 17783 ft) & Renjo- La Pass (5360m/ 17586 ft) which are known to be the most notable passes of Khumbu Region. The Everest region High Passes Trek begins from Lukla (2840m/ 9318ft). During Everest High Passes trek the trail leads to Phakding (2610m/ 8563ft) -the first viewpoint of Kongde RI and to the first acclimatization and adored spot – Namche Bazaar (3,440m/11287ft). 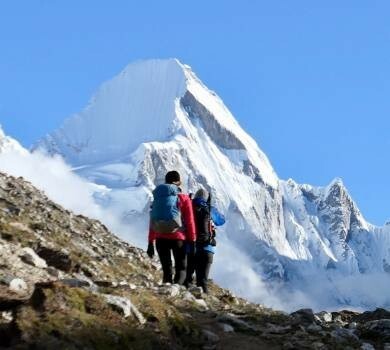 With the excitement and interest the Everest region High Passes Trek trail then leads to Thame (3820 m/ 12533 ft) -regard as the main route to Tibet from Everest Region and home of famous mountaineers which also lead the way to Tashi Labsta pass (5775 m/ 18947 ft) and to Lumde (4368 m/ 14331 ft). Renjo La pass will be the first high pass of Everest Base Camp High Passes Trek from where the majestic views of mountains above 8000m can be seen and getting up to here makes ones feel like indoor of snowed heaven. The magnificent view of Dudh Pokhari in Gokyo (4790 m/ 15716 ft) is outstanding, as per interest some take route following to Gokyo RI. Then, the 3 High Passes trek takes to Cho La pass from where the mesmerizing views of the majestic massifs can be observed. The high passes trek leading the trail to the world’s vantage point - Kalapatthar (5550 m/ 18209 ft) for getting the panoramic view of the world’s highest peak Mt. Everest (8848m/ 29029 ft). 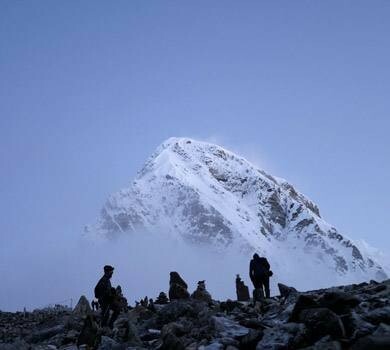 Why Everest Base Camp High Passes Trek? During this High Passes trek, one can watch out and observe the culture and tradition of Sherpas and Tibetians, their traditional lifestyle and the beautiful scenic view of Khumbu Himalayas. With the collection of unforgettable moments in ones pocket takes to the highest passes Kongma La pass. A collection of attracting scene of Everest Region also passes through Nangkartshang Gompa at Dingboche (4,410m/14469ft) - the place which is regard as the last human settlement of Everest Region and also through one of the oldest monasteries of Nepal Tengboche Monastery at Tengboche (3,860m/12665ft) where one as per interest one can participate in yoga and meditation in the early morning with the panoramic views of mountains side by side along with Sherpas and Tibetians culture and tradition. The perfect seasons throughout the year to participate in the Everest High Passes trekking are Autumn (September to November) and Spring (March to May) and nevertheless January, February and December are also the best time to explore Everest region. Everest Base Camp High Passes Trek is the complete package of exciting, challenging and thrilling moments which can be done in 19 days and also according to interest and time frame the trek can be customized. Feel free and comfortable to contact us for participation in a wonderful and breathtaking trek to Everest Base Camp High Passes which is arranged by local experts based on one's requirements. The team of Massif Holidays is always active to help and support to make the trip outstanding. 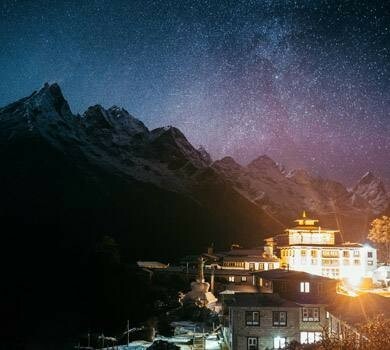 Yoga and Meditation in Tengboche with the presence of oldest monastery of side – Tengboche Monastery. Fully supported teahouses or camping during the trek. Mesmerizing View of Gokyo Lake and Gokyo RI. Notable three high passes Renjo La, Cho La, and Kongma La. Tourist category accommodation in Kathmandu. Inclusive cost of all required permits, guide, and porter. 18 Breakfast, 14 Lunch and 15 Dinner. Day 04: Trek to Namche Bazaar (3440 meters). About 5 hours.Overnight stay in Guest House. Day 06: Trek to Thame (3820 meters). About 5 hours. Overnight stay at Guest House. Day 07: Trek to Lungden (4370meters). About 6 hours. Overnight stay at Guest House. 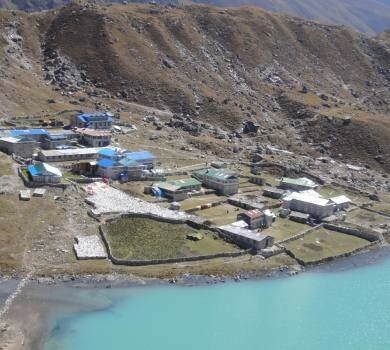 Day 08: Trek to Gokyo via Renjo-La Pass (5360 meters). About 7 hours. Overnight stay at Guest House. Day 09: Trek to Thangna (4700 meters) via Cho-La Pass (5420 meters). About 6 hours. Overnight stay at Guest House. Day 10: Trek to Dzongla (4830 meters). About 7 hours. Overnight stay at Guest House. Day 11: Trek to Lobuche (4910m). About 6 hours. Overnight stay at Guest House. Day 12: Trek to Everest Base Camp (5364 meters) via Gorakshep (5140m). About 8 hours. Overnight stay at Guest House at Gorakhshep. Day 13: Early morning hike up to Kalapatthar (5550 meters) then trek down to Lobuche. About 7 hours. Overnight stay at Guest House. Day 14: Trek to Dingboche (4410 meters) via Kongma La pass (5535meters). About 6 hours. Overnight stay at Guesthouse. Day 15: Trek to Tengboche Monastery (3860 meters). About 5 hours. Overnight at stay Guest House. Day 16: Trek to Namche Bazaar (3440 meters). About 7 hours. Overnight stay at Guest House. Day 17: Trek to Lukla (2840 meters). About 7 hours.Overnight stay at Guest House. Day 18: Early morning fly back to Kathmandu. Overnight stay at Hotel. Day 19: Transfer to the international airport for your onward destination. Airport / Hotel pickup & drop by private tourist vehicle. Three nights’ twin sharing basis accommodation at tourist category hotels in Kathmandu including Breakfast. Lodges, Guest Houses, tea houses accommodation during the trek. Nepal entry visa fee which can be issued on your arrival at Tribhuwan International Airport. Group joining trip or personal group trip (trek/tour). Family trip along with children under the secure and favorable suggestion of the Massif Holidays expertise. The listed optional facilities for the trekking within Nepal are not included in the travel cost. 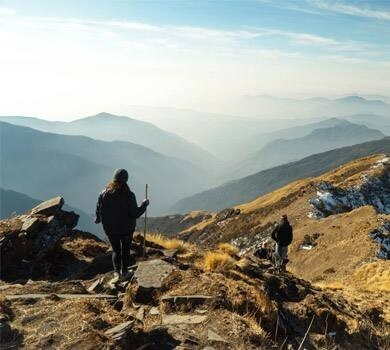 As per guest choice and demand for extra facilities or services, some amount will be added to the trekking package cost. You can include the other extra facilities and services in your travel package consulting with the crew member of Massif Holidays. Due to poor visibility, bad weather or any technical problems twin otters may get delayed for some hours or for some days (also can be happened in a good season). During this period, teams of Massif Holidays help to manage other various daily activities, pre-itinerary with any trekking routes, etc. 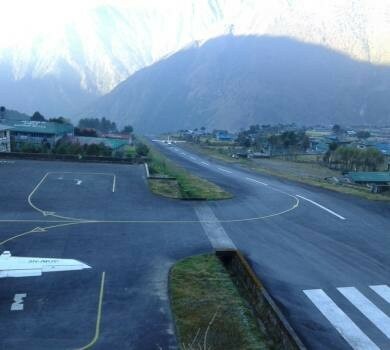 One needs to bear all expenses if need to stay at Lukla because of the cancelation of flights at the end of the trip.